Previous PostBeautiful Red Cardinal At Our Bird Bath On Cape Cod.Next PostThe Rock Jetty In Wellfleet On Cape Cod. Very cool! I wonder if they are a happy couple? I think it is their mating season! Could they be a mated pair? Or are they the same size? Very surprised to see them in a tree! They are very similar in size. I’ve seen many of them in trees at times, so I don’t Know if they are mating. 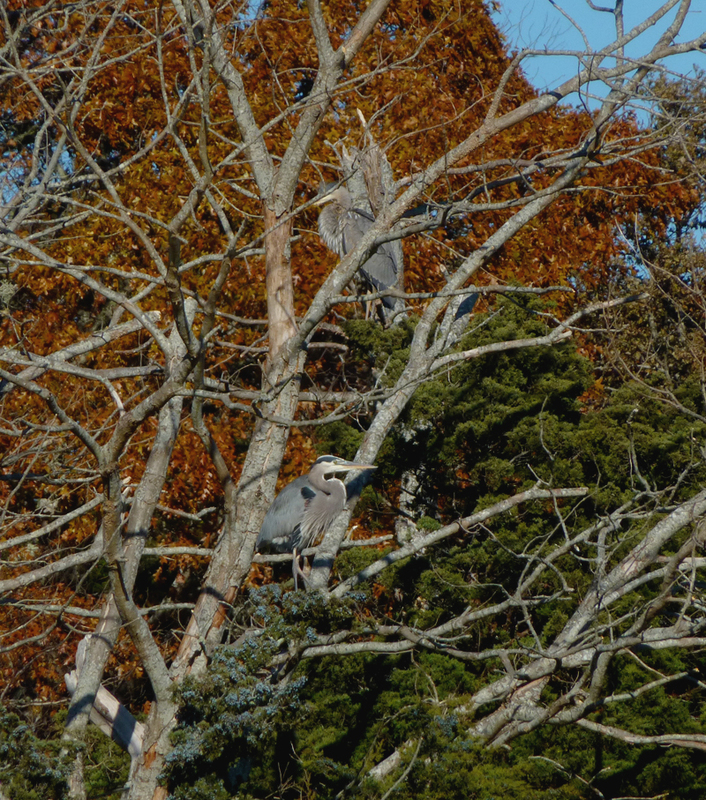 They do like to build their nests in a tree. Thanks, Tree!! 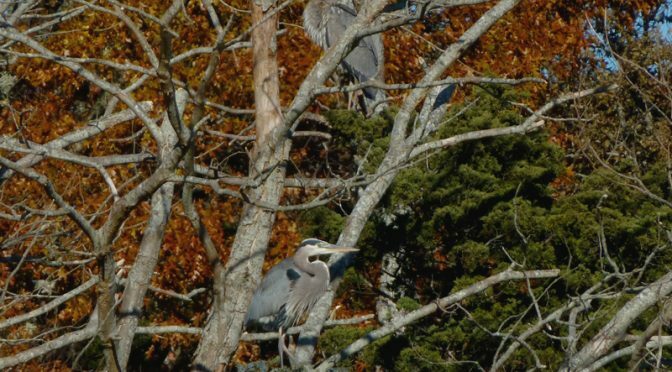 You don’t expect these huge birds to be perched on a branch high in a tree!